The word “nano” comes from the Greek language and means tiny scale. This is also the working ground for scientists in the nanotechnology. One nanometer is around one billionth of a meter or 10̽-9 meter. Nanotechnology combines scientists from disciplines like physics, chemistry, and biology and pressures them to work interdisciplinary. The relevance of Nanotechnology can be explained by the economic attractiveness of nanoparticles. Nanoparticles have the same structure and characteristics of other materials but on a much smaller scale. Nanoscale particles can be manufactured with many different materials and combined with various substances to develop new materials or groups of materials. Nanosciences and nanotechnology can create different types of nanomaterials that not only improve the performance of products but also create entirely new products in industries like the semiconductor industry, electronics, resistant clothes, automobile parts, cosmetics and even drug delivery. 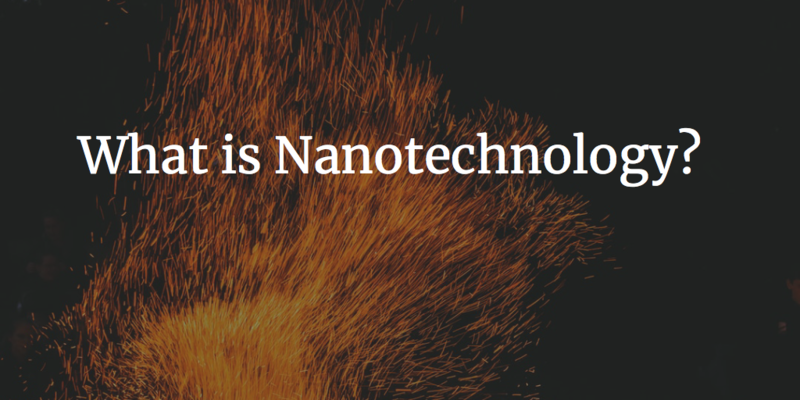 There are four different branches of Nanotechnology: Nanobiotechnology or also Nanomedical technology, Nanomaterials or Nanochemistry, Nanoelectronics, and Nanooptics. Each one of them has different emphasize and are working cross-sectoral with other scientific disciplines. In the biomedicine, nanotechnology is used to deliver specific drugs to the target within the human body. Since several years biomedical engineers are working to create actively targeted drugs that have improved capsules to deliver the drugs to the right place. Nanomaterials or Nanochemistry creates and manipulates chemical systems, which leads to the creation of new materials. The primary goal is to combine different elements or structures and to create new materials such as ultra-thin coatings, cleaning agents or dirt-resistant surfaces. Nanoelectronic is working on more efficient electronic equipment, so that restart of the computer is unnecessary. For the car industry, the development of new sensors within cars is a relevant niche industry for vehicles and will expand in the future. Nanooptics stands for optical components like lenses on a nanometer scale. Production of precise optics improves lenses within cameras and also laser technology which becomes less energy intensive. Nanotechnology is per se not a single industry sector, but because of its nano-scale, it has the potential to create or improve already existing technologies. Nanotechnology can construct on the nanoscale and also manipulate already existing structures. That`s the reason why it will be more important in the coming years.